In his Science editorial (A perverted view of 'impact,' Science, 2013 Jun 14, p. 1265), cell biologist and biochemist Marc Kirschner warns against National Institute of Health's recent introduction of ''impact and significance'' as an explicit criterion to funding decisions. According to Kirschner, overemphasis on short-term impact (especially in fundamental research) can lead applicants to overstate potential benefits of their proposals. Moreover, as Kirschner notes, scientists working in fundamental research can rarely anticipate future applications of their eventual discoveries. A further risk related to the introduction of this criterion is that increasing investments in areas that are considered impactful will in-evitably decrease resources for other fields. As a result, diversity in science will be reduced as well as productivity. Although I tend to resonate with Kirschner's general argument, I also believe that there are compelling reasons in favor of introducing (maintaining) impact as a criterion in funding decisions. First, at least some scientists, if not all of them, might have a clear view about the significance of their research. Second, resources for science are scarce. Since choices need to be made, concentrating funding on research that has more promising applications is meaningful. As in the popular Nasruddin's tale, no matter where we may have lost the key, we all prefer to begin under the street light where we can see—and so it is for funding bodies. Third, however, this strategy does not prevent the fact that some resources are dedicated to high risk/high impact projects; see, as an example, the European Commission Future and Emerging Technologies Flagships' initiatives. Fourth, the growing gap between science and the public could be reduced if researchers would better explain the significance of their work for society. This is especially true in times of economic depression: early evidence suggests that citizens of regions more affected by crisis are more likely to express support for increases in government investments in research (L. Sanz-Menéndez, G. G. Van Ryzin, Economic crisis and public attitudes toward science: a study of regional differences in Spain. Public Underst Sci. 2013 Jun 21). We are aware that impact and significance are ill-defined concepts. However, researchers are good at measuring things. They could put more effort in trying to define better indicators for these issues, making impact review a less arbitrary system. At the end of January, the European Commission has officially announced the selection of the Human Brain Project (HBP) as one of its two FET Flagship projects. Federating more than 80 European and international research institutions, the Human Brain Project is planned to last ten years (2013-2023). The cost is estimated at 1.19 billion euros. The project is the first attempt to “reconstruct the brain piece by piece and building a virtual brain in a supercomputer”. Lead by neuroscientist Henry Markram, the project was launched in 2005 as a joint research initiative between the Brain Mind Institute at the École Polytechnique Fédérale de Lausanne (EPFL) and the information technology giant IBM. 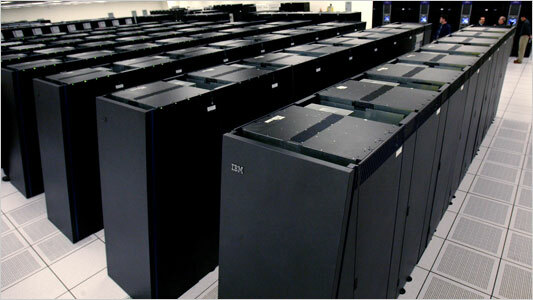 Using the impressive processing power of IBM’s Blue Gene/L supercomputer, the project reached its first milestone in December 2006, simulating a rat cortical column. As of July 2012, Henry Markram’s team has achieved the simulation of mesocircuits containing approximately 1 million neurons and 1 billion synapses (which is comparable with the number of nerve cells present in a honey bee brain). The next step, planned in 2014, will be the modelling of a cellular rat brain, with 100 mesocircuits totalling a hundred million cells. Finally, the team plans to simulate a full human brain (86 billion neurons) by the year 2023. DARPA has announced the start of the next DARPA Robotics Challenge. This time, the goal is to develop ground robots that perform complex tasks in "dangerous, degraded human-engineered environments". That means robots that perform humanitarian, disaster relief operations. The robots must use standard human hand tools and vehicles to navigate a debris field, open doors, climb ladders, and break through a concrete wall. Most but not all of the robots will be humanoid in design. The challenge is divided into two parts with a Virtual Robotics Challenge scheduled for 10 - 24 June, 2013 to test simulated robots and the actual DARPA Robotics Challenge scheduled for 21 December, 2013. DARPA has adopted the free software Gazebo simulator, which supports ROS. There are two competition "tracks" - competitors in Track A will develop their own humanoid robot and control software, while competitors in Track B will develop control software that runs on a DARPA-supplied Atlas robot built by Boston Dynamics. Already University teams are making announcements of participation. Read on for more info about some of the teams, as well as some awesome photos and videos of the robots in action. The Oculus Rift, a new HMD which promises to take 3D gaming to the next level, was launched on Kickstarter last week. The funding goal is $250,000. “With an incredibly wide field of view, high resolution display, and ultra-low latency head tracking, the Rift provides a truly immersive experience that allows you to step inside your favorite game and explore new worlds like never before." The developer kits acquired through Kickstarter will include access to the Oculus Developer Center, a community for Oculus developers. The Oculus Rift SDK will include code, samples, and documentation to facilitate integration with any new or existing games, initially on PCs and mobiles, with consoles to follow. Oculus says it will be showcasing the Rift at a number of upcoming tradeshows, including Quakecon, Siggraph, GDC Europe, gamescom and Unite. In this challenge (organised within the framework of the Call for Challenges at ICMI 2012), we propose to change this view point and therefore consider BCI as an intelligent sensor, similar to a microphone or camera, which can be used in multimodal interaction. A typical example is the use of BCI in sonification of brain signals is the exposition Staalhemel created by Christoph de Boeck. Staalhemel is an interactive installation with 80 steel segments suspended over the visitor’s head as he walks through the space. Tiny hammers tap rhythmic patterns on the steel plates, activated by the brainwaves of the visitor who wears a portable BCI (EEG scanner). Thus, visitors are directly interacting with their surroundings, in this case a artistic installation. Paul G. Allen has donated additional $300 million to the Allen Institute for Brain Science to expand its scientific programs, the Institute announced Wednesday March 21. The Institute was established with a 2003 contribution of $100 million from the former Microsoft executive, who then donated another $100 million. The latest contribution of $300 million will support the first four years of a 10-year plan to address critical questions about how the brain works. Bringing his total commitment to date to $500 million, Allen has charged the Institute with tackling some of the most fundamental and complex questions in brain science today. MIT announced today online learning initiative called MITx that will offer a portfolio of free selected MIT courses starting in Spring 2012 through an online interactive learning platform, with online laboratories. MIT expects that MITx will eventually host a virtual community of millions of learners around the world. Human Computer Confluence (HC-CO) is an ambitious initiative recently launched by the European Commission under the Future and Emerging Technologies (FET) program, which fosters projects that investigate and demonstrate new possibilities “emerging at the confluence between the human and technological realms” (source: HC-CO website, EU Commission). Such projects will examine new modalities for individual and group perception, actions and experience in augmented, virtual spaces. In particular, such virtual spaces would span the virtual reality continuum, also extending to purely synthetic but believable representation of massive, complex and dynamic data. HC-CO also fosters inter-disciplinary research (such as Presence, neuroscience, psychophysics, prosthetics, machine learning, computer science and engineering) towards delivering unified experiences and inventing radically new forms of perception/action. HC-CO brings together ideas stemming from two series of Presence projects (the complete list is available here) with a vision of new forms of interaction and of new types of information spaces to interact with. It will develop the science and technologies necessary to ensure an effective, even transparent, bidirectional communication between humans and computers, which will in turn deliver a huge set of applications: from today's Presence concepts to new senses, to new perceptive capabilities dealing with more abstract information spaces to the social impact of such communication enabling technologies. Inevitably, these technologies question the notion of interface between the human and the technological realm, and thus, also in a fundamental way, put into question the nature of both. The long-term implications can be profound and need to be considered from an ethical/societal point of view. HC-CO is, however, not a programme on human augmentation. It does not aim to create a super-human. The idea of confluence is to study what can be done by bringing new types of technologically enabled interaction modalities in between the human and a range of virtual (not necessarily naturalistic) realms. Its ambition is to bring our best understanding from human sciences into future and emerging technologies for a new and purposeful human computer symbiosis. HC-CO Data. On-line perception and interaction with massive volumes of data: new methods to stimulate and use human sensory perception and cognition to interpret massive volumes of data in real time to enable assimilation, understanding and interaction with informational spaces. Research should find new ways to exploit human factors (sensory, perceptual and cognitive aspects), including the selection of the most effective sensory modalities, for data exploration. Although not explicitly mentioned, non-sensorial pathways, i.e., direct brain to computer and computer to brain communication could be explored. HC-CO Transit. Unified experience, emerging from the unnoticeable transition from physical to augmented or virtual reality: new methods and concepts towards unobtrusive mixed or virtual reality environment (multi-modal displays, tracking systems, virtual representations...), and scenarios to support entirely unobtrusive interaction. Unobtrusiveness also applies to virtual representations, their dynamics, and the feedback received. Here the challenge is both technological and scientific, spanning human cognition, human machine interaction and machine intelligence disciplines. HC-CO Sense. New forms of perception and action: invent and demonstrate new forms of interaction with the real world, virtual models or abstract information by provoking a mapping from an artificial medium to appropriate sensory modalities or brain regions. This research should reinforce data perception and unified experience by augmenting the human interaction capabilities and awareness in virtual spaces. In sum, HC-CO is an emerging r&d field that holds the potential to revolutionize the way we interact with computers. Standing at the crossroad between cognitive science, computer science and artificial intelligence, HC-CO can provide the cyberpsychology and cybertherapy community with fresh concepts and interesting new tools to apply in both research and clinical domains. HC-CO initiative: The official EU website the HC-CO initiative, which describes the broad objectives of this emerging research field. HC2 Project: The horizontal character of HC-CO makes it a fascinating and fertile interdisciplinary field, but it can also compromise its growth, with researchers scattered across disciplines and groups worldwide. For this reason a coordination activity promoting discipline connect, identity building and integration while defining future research, education and policy directions at the regional, national, European and international level has been created. This project is HC2, a three-year Coordination Action funded by the FP7 FET Proactive scheme. The consortium will draw on a wide network of researchers and stakeholders to achieve four key objectives: a) stimulate, structure and support the research community, promoting identity building; b) to consolidate research agendas with special attention to the interdisciplinary aspects of HC-CO; c) enhance the Public Understanding of HC-CO and foster the early contact of researchers with high-tech SMEs and other industry players; d) establish guidelines for the definition of new educational curricula to prepare the next generation of HC-CO researchers. CEED Project: Funded by the HC-CO initiative, the Collective Experience of Empathic Data Systems (CEEDs) project aims to develop “novel, integrated technologies to support human experience, analysis and understanding of very large datasets”. CEEDS will develop innovative tools to exploit theories showing that discovery is the identification of patterns in complex data sets by the implicit information processing capabilities of the human brain. Implicit human responses will be identified by the CEEDs system’s analysis of its sensing systems, tuned to users’ bio-signals and non-verbal behaviours. By associating these implicit responses with different features of massive datasets, the CEEDs system will guide users’ discovery of patterns and meaning within the datasets. VERE Project: VERE - Virtual Embodiment and Robotic Re-Embodiment – is another large project funded by the HC-CO initiative, which aims at “dissolving the boundary between the human body and surrogate representations in immersive virtual reality and physical reality”. Dissolving the boundary means that people have the illusion that their surrogate representation is their own body, and act and have thoughts that correspond to this. The work in VERE may be thought of as applied presence research and applied cognitive neuroscience. A post-doc position (funded for 3+ years) is available immediately in the field of Brain-Computer Interface/Neural Engineering research. The successful candidate will be part of the Brain-Computer Interface (BCI) Research and Development Program at the Wadsworth Center in Albany, New York. The research will primarily involve the use of signals recorded from the surface of the brain (electrocorticography (ECoG)) in humans to decode specific aspects of human cognition or behavior from ECoG signals, and to use these signals for communication or control. The goal of this project is to build a system that extracts and uses these decoded signals in real time. This real-time implementation will be based on our BCI2000 system (http://www.bci2000.org), which has become the standard in the field of BCI research and has already been provided to about 500 laboratories around the world. Required expertise is a solid background in signal processing, in particular time series/spectral analyses, classification, and machine learning, and excellent programming expertise in Matlab. Please do not apply if you do not have this expertise. Additional desired expertise is a solid understanding of neuroscience, in particular in ECoG signals related to attentional/intentional/motor systems, and programming experience in C/C++. Applicants should send a CV, a brief statement of background and goals, and two reference letters to Dr. Gerwin Schalk (http://www.wadsworth.org/resnres/bios/schalk.htm) at schalk@wadsworth.org. Review of applications will start immediately and continue until the position is filled. The BCI program at the Wadsworth Center is recognized world-wide for its EEG-and ECoG-based BCI research. The Wadsworth Center has been named one of the "Best Places to Work for Postdocs" and one of the "Best Places to Work in Academia" by The Scientist magazine. Pending budgetary approval, The Center for Digital Arts and Experimental Media (DXARTS) at the University of Washington is seeking to fill a tenured or tenure track faculty position in HYBRID ARTS PRACTICE. Rank is open, and we will consider hires from Assistant to Full Professor with tenure. Established in 2001, DXARTS is a pioneering experimental arts unit with exciting undergraduate and doctoral degree programs. DXARTS brings together faculty from Art, Music, Dance, Computer Science, Electrical Engineering, Physics, Biology, History of Ideas, and Design in a hybrid research environment dedicated to the invention and exploration of new forms of digital and experimental art. The successful candidate for this position should be an artist hybrid engaged in advanced generative digital and experimental arts practice, as well as integrating research on the epistemological and ontological questions raised by the broader art, science and technology discipline. Applicants for this position should at minimum hold a Masters Degree or equivalent experience and present a well documented career of significant creative accomplishments. The ideal candidate will have a strong and deeply integrated background blended across numerous creative, interpretive and technical fields such as art, music, film, design, dance, theater, computer science, cognitive science, engineering, history, psychology, and philosophy. Applicants should be prepared to pursue innovative art and technology research, as well as teach introductory and advanced courses in comprehensive studio practice, and the history and analysis of digital and experimental arts. Applications must include: CV, artist statement, statement on pedagogy, and a cohesive portfolio of professional creative work. Support materials must include three references with phone numbers, mail and e-mail addresses, samples of previous course design and recent student work. Portfolio work should be formatted for viewing on any platform. Please include a SASE for return of materials. Also inform us if you will be attending the CAA conference in Los Angeles, CA. Application materials should be addressed to: Chair, HYBRID ARTS PRACTICE Search Committee, DXARTS, 207 Raitt Hall, Box 353414, University of Washington, Seattle, Washington 98195-3414. Priority will be given to applications received before January 15, 2009. The University of Washington is building a culturally diverse faculty, and strongly encourages applications from female and minority candidates. The University is an Equal Opportunity, Affirmative Action employer. contribute to personnel training in the area of ICT. A specialist of Technologies for Human Communication will find a job in a wide variety of enterprises and public organisations. In particular, small and medium enterprises strongly appreciate the flexibility and versatility guaranteed by a multi-disciplinary curriculum, that effectively combines communicative and technological competence. Glass Partnership is looking to appoint a permanent experienced Interactive Architect. You’ll have the opportunity to work across a range of leading edge projects for our client base of brands including American Express, Virgin, San Miguel, Nokia and the NHS. Glass is one of the new kids on the ‘digital’ block. With 24 full time employees, they have been trading for a couple of years and have been named as the NMA ‘one to watch’. They have a growth plan in place for 2008 and are looking for a Studio Manager to join the team, managing the resources and workflow in their busy studio. We are looking to appoint an experienced Interactive Architect on a permanent basis. You’ll have the opportunity to work across a range of leading edge projects for our client base of brands including American Express, Virgin, San Miguel and Nokia, as well as institutions such as the NHS and charities such asYouthnet. - Evaluating clients' functional and business requirements. - Conducting primary and secondary research to evaluate user needs. - Performing usability inspections of existing systems and conducting competitive research. - Developing information architecture, system vocabulary, task flows, navigation systems, and producing detailed wireframe layouts. - Presenting and justifying interaction designs to clients. - Developing paper or digital prototypes for early user testing. - Creating project-specific user experience guidelines that assist clients in making future design decisions. - Working with content writers, visual designers, and developers to ensure a smooth transition of the interactive design into development. - At least 3 years experience in complex web application interaction design. - Education in user-centered design (UCD) or ability to display a formal understanding of UCD theory and practice. - Ability to blend both user goals and business goals to create an effective interactive experience. - Experience with a range of software development practices, including agile and use-case based methods. - Superlative oral and written communication skills. - Experience working directly with clients in a consulting role, including leading client meetings. - Working knowledge of visual design tools (e.g.Visio or alternative). - Experience designing and conducting usability studies is an asset. Google has launched a dedicated portal of Google services for non-profit organizations. Google for Non-Profits offers “a one-stop shop for tools to help advance your organization’s mission in a smart, cost-efficient way.” This site includes ideas and tutorials on ways Google tools can be used to promote non-profits, raise money and operate more efficiently. Research post in "cognitive and communication processes in media use"
A 12 month full-time contract for a research post will be available in the Department of Psychology at the Catholic University of the Sacred Heart in Milano, Italy . The contract will start in June 2008. The contract can be renewed for further 12-month periods. Language skills: fluent English (written and speech). A clear interest in the topic of the project and proven qualifications for doing research. The research activities will be based in the Department and Faculty of Psychology at the Catholic University of the Sacred Heart in Milano (www.unicatt.it). The salary is 1,345.00 euros per month. The salary is free from taxes. An insurance deduction (5.00%) might be applied (it depends on the nationality of the candidate). - the research design (approximately 6 page written in English) that the candidate would carry out. The Aerospace Psychology Research Group, School of Psychology, Trinity College Dublin, is part of a large EU Research Consortium, and they are currently looking to hire a researcher in the area of VR/Human Factors/HCI. The position is available immediately and will require one month in Milan. The basic salary ranges between 30K-35K Euro (negotiable depending upon experience and qualifications). The Centre for Research in IT in Education at Trinity College, Dublin has received funding for a 3 year research project exploring the potential of Multi User Virtual Environments in Education, specifically Development Education. The project is funded by Irish Aid, Department of Foreign Affairs. Using Second Life initially, this project will design and construct virtual spaces consisting of interactive learning experiences and collaborative activities for learners and teachers/tutors to engage with the issues within Development Education. In addition to the construction, this project will devise training for both learners and tutors as well as conducting a wide ranging evaluation of the learning potential of such environments.